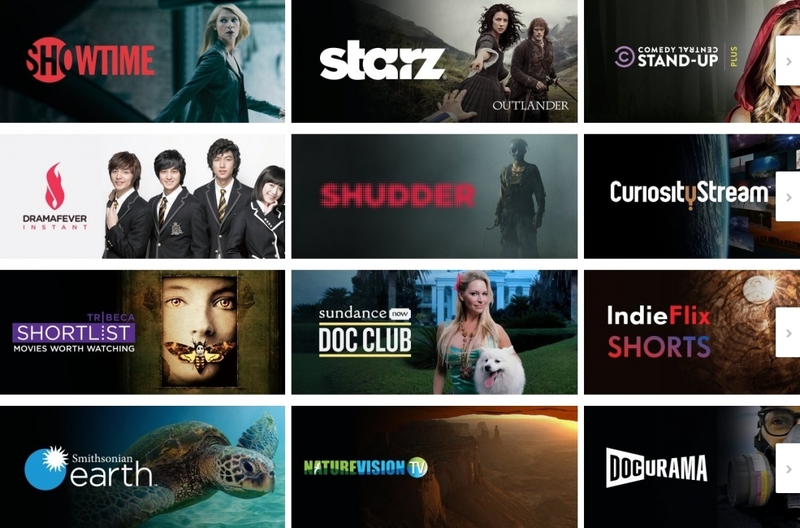 Amazon Prime is a bit more versatile today thanks to the Streaming Partners Program, a new service that allows Prime members to subscribe to nearly 20 standalone streaming channels including Showtime and Starz at a discounted rate. The over-the-top streaming subscription service is a win-win for all parties involved. Video providers have access to what Amazon describes as a highly engaged streaming audience while viewers have yet another option to manage their streaming subscriptions. What's more, Amazon offers free trials on all subscriptions, IMDb X-Ray integration, unified search and a single watchlist across all subscriptions. Initial launch partners include A+E Network (Lifetime Movie Club), AMC (Shudder and SundanceNow Doc Club), Gaia, RLJ Entertainment (Acorn TV, Urban Movie Channel, Acacia TV), DramaFever (DramaFever Instant), Tribeca Short List, Cinedigm (Dove Channel, Docurama, CONtv), Smithsonian (Smithsonian Earth), IndieFlix (IndieFlix Shorts), Curiosity Stream, Qello, FlixFling (Cinefest, Nature Vision, Warriors and Gangsters, Dox, Monsters and Nightmares), BroadbandTV (Hooplakidz Plus), DEFY Media (ScreenJunkies Plus), Gravitas (Film Forum, Daring Docs, Fear Factory) and Ring TV Boxing in addition to the aforementioned Showtime and Starz. I checked the rates and terms of several offers and found that free trials typically range from seven days to 30 days with pricing varying anywhere between $2.99 on the low end up to $8.99 per month. The overwhelming majority of initial offerings aren't all that appealing outside of Showtime and Starz but at least the options are there. With any luck, we'll see more well-known names join the fray in the coming weeks and months.